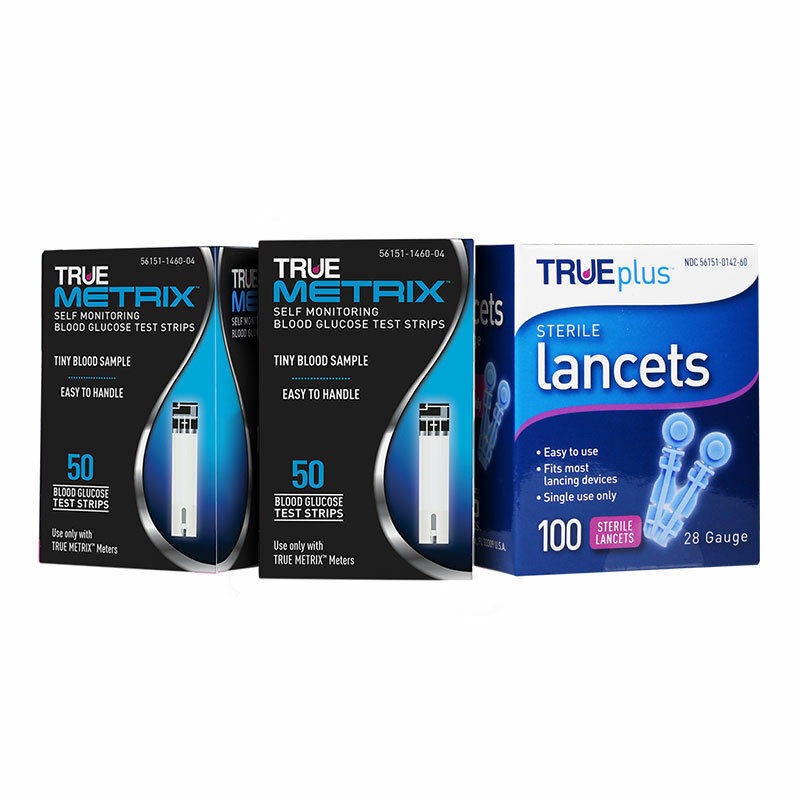 You are buying the True Metrix Blood Glucose Test Strips 500/bx & 500 Lancets. ADW offers the complete line of glucose meters and test strips from Nipro Diagnostics, including their newest - True Metrix. We offer this product line in a combination of ways to best suit your needs. Trust ADW Diabetes for all of your diabetes testing supply needs. The True Metrix Blood Glucose Test Strips box of 500 & 500 Lancets features advanced technologies - a complex algorithm, chemistry and electrodes, the meter and the test strip work together as part of the True Metrix Self-Monitoring Blood Glucose System to produce accurate results. With True Metrix accuracy is confidence. Triple sense technology automatically detects, analyzes and corrects variables in each blood sample to ensure proven accuracy and confidence in results. Strips work perfectly, as always. Shipping was very fast, as always. Wish they didn't send all those 28 ga lancets, which I just throw away. I use a much finer lancet, as I normally test 5-6 times a day and using a 28 ga lancet that often tears up my fingers.